The vision of an animal sanctuary and a pit bull rescue were just two of the ideas of Bully Ranch, recently started by married couple Paul Hendrix and Diane Blastic. 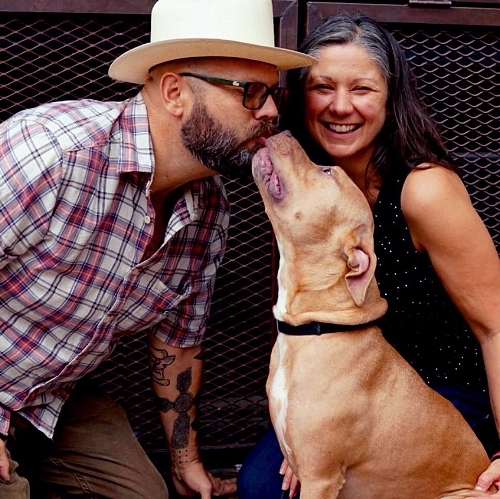 Paul and Diance, members of the Austin Facial Hair Club, have been working with pitbulls for sometime now and have nothing but love and admiration for the breed. They have invested considerable time into understanding the training and the demeanor of this often understood animal. In our conversation about Bully Ranch, we touched upon how everything finally came together for this to happen and how the loss of their beloved Trejo was the final piece. “His death devastated us. It was also the catalyst for getting our butts in gear to follow our dream of opening a pitbull rescue and rehabilitation center with the intent of becoming a City of Refuge for all animals. Welcome to Bully Ranch!”(-taken from Bully Ranch IG @bullyranchatx ). We discussed the importance of training and understanding your dog and the signs it may show you of being in distress, as well as how to handle those situations with proper techniques. They stressed that the importance of training is more for the human than it is for the dog. Understanding your dog’s trigger points and stress factors and how to adjust your approach to a situation is a good way gain your dog’s trust. Paul also announced a partnership Bully Ranch had recently made and he broke the news with all of us in the beard community. The Austin Facial Hair Club has done many charity events over the years to help raise money for the local animal shelter, such as their annual Dog Beard and Mustache Competition which is emceed by Paul. The facial hair community has given a lot to animal rescues and shelters nationwide and are one of the more popular of charities donated to for many events. It seems to me that beards and dogs go hand-in-paw when it comes to the nature of this community. I hope that you enjoy this episode and learn more about Bully Ranch. 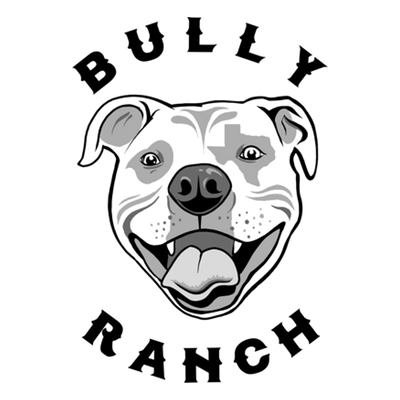 If you feel compelled, check out bullyranch.org and make a donation or order a sweet shirt. There was so much valuable information given by both Paul and Diane about their dreams for Bully Ranch and I very much enjoyed talking to them and learning about what they have planned!